Hayley’s Agriculture Holdings, the agribusiness division of the Hayleys conglomerate won two Gold awards and one Silver award at the 2015 Ag Biz Awards and a Special award at the 23rd Annual NCE Export Awards. 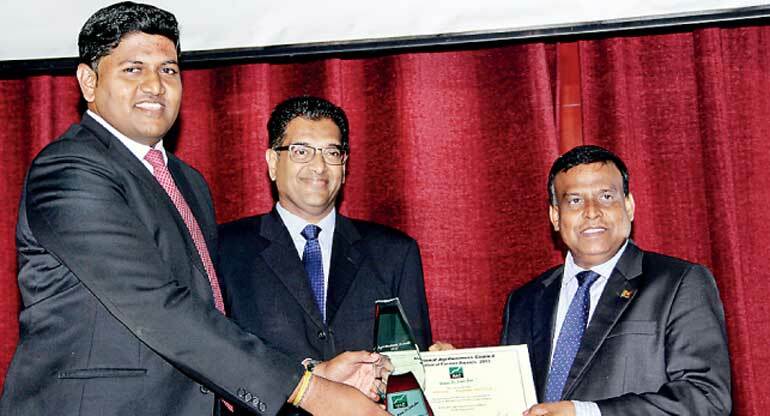 Hayleys Agriculture Agri Equipment division won a Gold Award for the Best Agriculture Machinery & Equipment Supplier, whereas HJS Condiments Ltd. won a Gold Award for the Best Agriculture Exporter while Hayleys Aqua Agri won a Silver Award for the Best Innovation in Agriculture at the 2015 Ag-Biz and National Farmer Awards Ceremony organised by the National Agribusiness Council (NAC). Moreover a Special Award was presented to HJS Condiments Ltd. for ‘Socio Economic Development in the Northern Province’ at the recently concluded 23rd National Chamber of Exporters (NCE) Annual Export Awards ceremony. 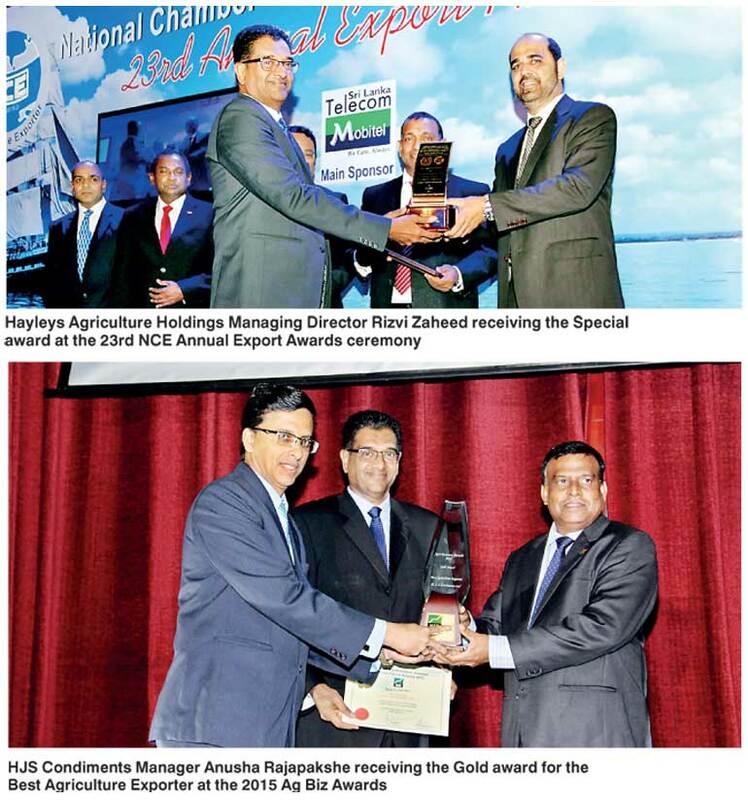 “Hayleys Agriculture is extremely proud to continue winning these prestigious awards as we wish to inspire all stakeholders in the agri sector to be first class, which would inevitably contribute to sustainable development of the agriculture sector in the country,” said Rizvi Zaheed, Managing Director of Hayleys Agriculture Holdings. 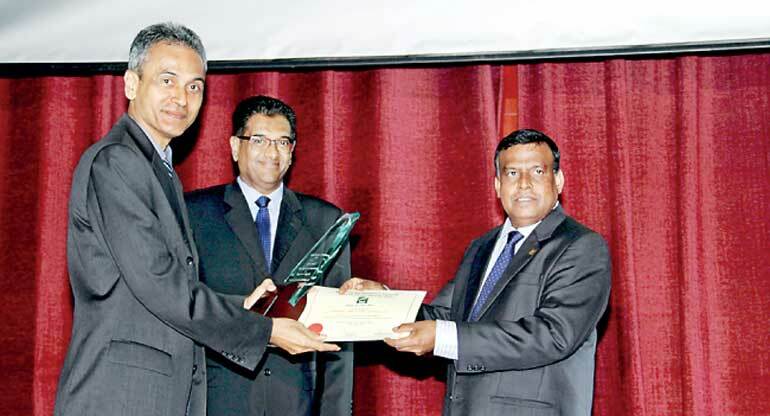 Hayleys Agriculture spearheads the agricultural sector in Sri Lanka since 1950s. Being among the top ranked firms in the market Hayleys Agriculture has been renowned for the wide array of agricultural solutions and for the value-added agro produce exports to major buyers in the international arena. The vision of Hayleys Agriculture is to be one of the region’s leading integrated sustainable agri solutions providers and advisors and constantly pursue to innovate commercial agriculture for food security, environment sustainability and welfare. Hayleys Agriculture portfolio of businesses caters to the entire agri value chain and includes crop protection chemicals, seeds and planting materials, agri equipment, animal health products, fertiliser, environmental science products, pre and post-harvest management systems and products and water management & irrigation systems. The Agri Exports businesses include processed and semi processed fruits, spices and vegetables, beverages, edible oils, essential oils, aqua culture, hybrid flower seeds and tissue cultured horticultural and ornamental, foliage and fruit plantlets. Hayleys Agriculture also embarks on strategic agri business projects as well as provides agri business advisory and laboratory services and assists agri business investment opportunities and alliances in the region.